Good morning! 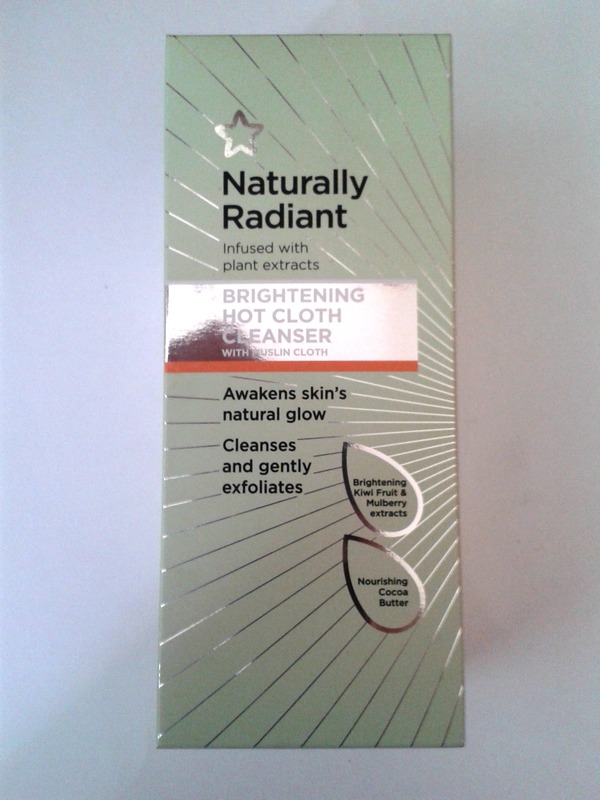 I’m going off to do a course today so I’ll post more later on but for now I’m going to give a quick review of Superdrug Naturally Radiant hot cloth cleanser. I cannot speak highly enough of this product, for a great price it comes with a muslin cloth which I sometimes use, but I find the cleanser great just on its own. The bottle is 150ml and has lasted me ages as it only takes a small amount to cover the face, so it’s well worth the price. I have never used a face product with cocoa butter in it before, and now I’m left wondering why I’ve been missing out, the cream is thick and luxurious on the skin. It really feels like you are having a mini spa treatment and a bit of ‘me time’. The product smells lovely, fresh with a subtle fruit or floral hint and after using the product my skin feels the softest it has ever been. All the products in the Naturally Radiant range have kiwi fruit and mulberry fruit extracts, leaving skin brighter and more even in tone, in addition to protection against free radicals. So if this bumper bag of benefits sounds appealing to you then you can pick up the cleanser at Superdrug for £5.99 RRP, and at the moment there is a BOGOF offer across all Superdrug ranges.